Welcome to our guide to the blu ACE™. On this page, you’ll find everything you need to understand and get the most out of your device. Once you receive your blu ACE™ you should take the following steps below. 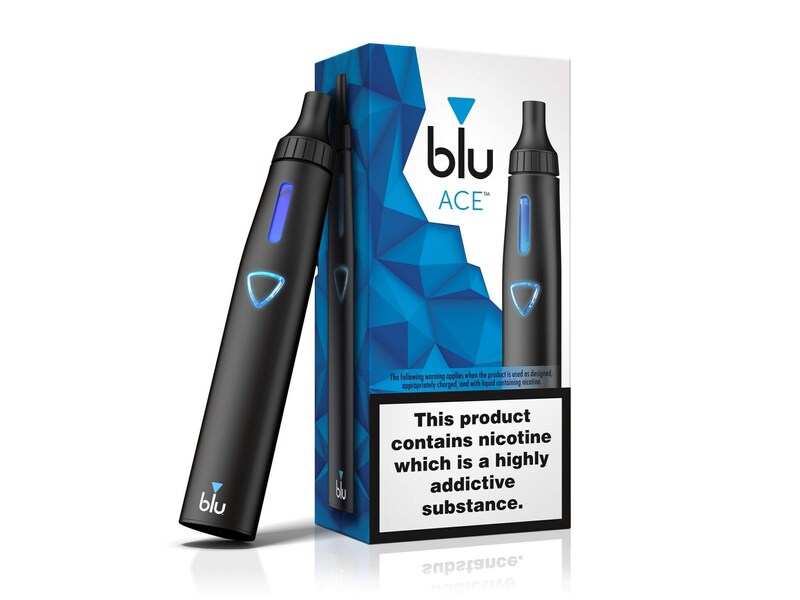 Your blu ACE® is shipped with a minimal charge and can be used out of the box, however we suggest topping it up before using first. To charge your blu ACE™ simply plug the micro USB (USB end) cable into a working USB port charger and place the micro USB end into the charging port on your blu ACE™ device. The button and reservoir of your blu ACE™ will blink three times and stay lit to indicate that the device is charging. When your device is fully charged both lights will go out and your blu ACE™ is ready to use. Unscrew the mouthpiece unit from your blu ACE™ by pressing down on the airflow-control ring and unscrew counter clockwise. With the mouthpiece unit unattached hold the device upright on a flat surface. It may be good idea to keep a paper towel or cloth underneath you in case of any unwanted spillage. Fill the reservoir with blu e-liquid (link to liquids flavor page) up to the “max” line. Remove the included atomizer head from the blister pack and screw it onto the lower end of the mouthpiece unit. Make sure the atomizer head is tightly secured to ensure a proper connection. Screw the mouthpiece and atomizer head back onto the device. Wait 5 minutes for the liquid soak into the wick of the atomizer. To refill your device simply follow steps 1. and 2. If you are using a different flavoured blu e-liquid we suggest using a new atomizer and following steps 3. and 4. We made using your blu ACE™ just following these simple steps. Turn on and unlock the device by pressing the button on the front of the blu ACE™ 5 times rapidly. The button light will flash 5 times to indicate it is ready for use. Push and hold the button on your blu ACE™ every time you take a puff. The button will light as you press it. While holding the ACE™ to your mouth and pressing the button inhale slowly and deeply. This will vaporize the liquid allowing you to inhale and exhale the vapour.